Japanese games market on the wane? Right now, in the wake of the DSi launch and ahead of the imminent Tokyo Game Show, the video games industry is just one big back-slapping party. Or is it? According to experts at Japanese publisher Enterbrain, the market for games and hardware shrank in the first half of the current fiscal year – the first time it has done so in four years. April to September saw the market decline by 21.3 per cent to ¥239 billion (£1.3 billion) compared with a year earlier. Instead of steadily increasing numbers, the company found that hardware sales dropped by a third over the year. 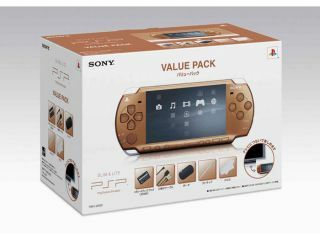 Top of the list was Sony's PSP at 1.58 million sales, with the DS in second on 1.31 million. Unsurprisingly Nintendo's Wii was the best-selling console, with 1.11 million shifted. The PS3 managed just 350,000 sales, while the Xbox 360 limped in at 140,000.